Justicia was established in 1992 as a private investigations agency in response to a growing demand from the private sector. opening branches in Durban and Gauteng. We are now one of the largest privately owned, nationally represented investigation agencies in the country, servicing an extensive private and corporate client base on a national and international level. the success of our business is built on the foundation of a highly skilled and experienced investigation team. Our range of expertise extends into Forensic Investigations (Criminal, Industrial, Commercial and Domestic), Truth Verification (Polygraph), Independent Security Risk Assessments, specifically trained Crime Prevention Units, Technical Surveillance Counter Measures (Debugging) and Intelligence Gathering, which includes Technical Surveillance, Covert Personal Surveillance, the supply of Undercover Agents and Close Protection (Body Guarding). WE RECOGNISE THAT DIFFERENT CIRCUMSTANCES REQUIRE DIFFERENT SOLUTIONS. Our operations team has the experience and skill required to understand each unique situation and assess which tools would be best suited to solving the problem. Given the potential legal minefield surrounding the issues we deal with, one can appreciate the importance of engaging the services of a reputable investigations company that will ensure that all the legal aspects of applying various technologies are considered. our investigators are well versed in the Criminal Procedures Act and could work with the SAPS or independently in gathering admissible evidence, compiling a docket and leading evidence in court. in industrial cases ensures that all cases are procedurally sound and are prepared with the ultimate objective of effective resolution. Based on a foundation of honesty, integrity and impartiality, we have strategically positioned ourselves to be able to service all of the security needs of our clients. 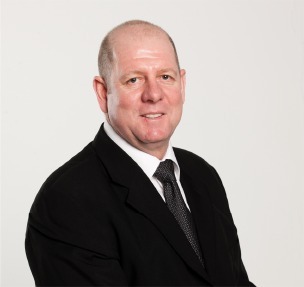 Before moving into the private sector, Reg Horne gained thirteen years experience in the South African Police Service (SAPS). Reg completed the SAPS Advanced Detective Course and applied his expertise in criminal investigation in the Serious and Violent Crimes Unit. On recognising the growing demand in the private sector for an investigations service that could fill the gap between the service the SAPS were able to provide, and the service that the market actually needed, Reg established Justicia Investigations in 1992. Reg’s further vision to include role players within an organisation to acknowledge and evaluate their own risk factors, where the honest could be a mechanism to act against the dishonest without fear of reprisal, led to the establishment of Whistle Blowers (Pty) Ltd in 2000. Conrad van der Merwe joined the South African Police services in 1985 and served in various specialised units in the field of detective work. He was selected for his outstanding skills in intelligence gathering to join the National Intelligence Service. Promotion to the senior position of Project Manager of Covert Structure in 1994 saw Conrad dealing with specialised sensitive covert operations. In 1999 Justicia Investigations was in the fortunate position to welcome Conrad into their team and, from day one, he has been an invaluable component of the national operation. To date, Conrad personally oversees and remains involved in all aspects of his team’s operational functions and continues to produce excellent results for a happy client base. He holds the position of Regional Director: Gauteng and Freestate. A stickler for quality assurance, Christelle Horne initially trained and qualified in a medical discipline. After nine years in the forensic pharmacy environment, Christelle took up a position within the Group, assisting with the establishment of the Call Centre in 1999 and formulating standard operating procedures for the company to work towards ISO accreditation. As Director: Finance and Administration, Christelle manages the quality assurance and group administration portfolios. Call centre standards, including the protection of the whistleblower and conformance with the Protected Disclosures Act, falls within her portfolio. Bernardo served in the South African Police Services ( SAPS ) for 10 years and during this time was renowned for dealing with serious and violent crime and bringing many perpetrators to book. His excellent investigative skills, combined with total dedication in solving serious crime and removing hardened and dangerous criminals from society, saw Bernardo receiving various commendations, as well as the prestigious SA Police Star for Merit and Bravery. Bernardo served at the elite Durban Murder and Robbery Unit which specialised in armed (firearm) robbery and murder cases in both domestic and business environments. In 2001 Bernardo joined the elite team of investigators at Justicia Investigations. His allround skills and experience have proven invaluable to the team of investigators and in 2008 he was appointed to the position of Director: Crime Prevention Units, where he heads up CPUs and special projects. Andre served in the South African Police Service for 16 years, gaining valuable experience whilst working in various specialised units in the police that concentrated on serious and violent crimes. Andre’s eye for detail and vast informer network led to him being appointed to the management team of tactical operations in respect of reconnaissance, information gathering and execution of projects relating to high priority crime, such as armed robbery, murder, vehicle hijacking and illegal weapons possession. Andre felt a need to further his professional career in the business sector and, since 2007, holds the position of Manager: Covert Operations at Justicia Investigations. Bimal entered the security industry in 1996. In 2005, he was head hunted and joined the Symbiotix Group of companies as a payroll clerk. His vast experience in the security industry and his dedication to accuracy and fairness in a complex payroll environment soon escalated him to a management position. Bimal’s hands-on approach has been key to GSA maintaining an exemplary record with PSIRA over the years. With his strong administrative skills and professional management of Human Resources, Bimal is a key figure who enhances our happy team. Bimal’s dedication and desire to learn led to him completing his B Comm degree in Financial Management and under the keen eye of our Financial Director, Bimal was earmarked for a position on the Executive. The start of 2018 saw him becoming a Partner and Director in the security-related companies within the group, Guarding SA, Guarding SA Gauteng and Justicia Investigations.